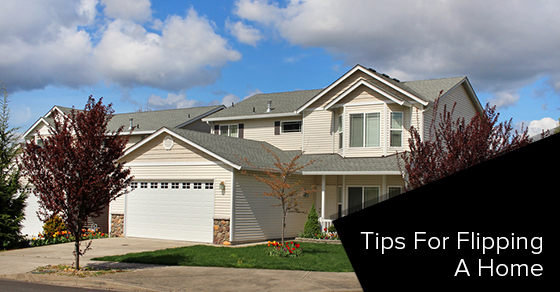 One of the most important tips when looking into a home that you would like to flip is the location. Do people want to live there? Is it in a desirable neighbourhood? Is it close to amenities? These are all questions that you absolutely must ask yourself before attempting to flip a home for profit. Is it close to you? You are probably going to be working on this home daily during the months ahead, which means that it needs to be close to where you currently live and work, or this might quickly become a huge inconvenience for you. You must also factor in the cost of getting to and from your investment home, as well as the opportunity cost of going back and forth everyday. This is all part of shrewd financial decision making. This is probably the most important room in the home, and the one that will make or break a buying decision for many people. Remodelling and fixing the kitchen should probably be the biggest allowance in your budget, followed by the bathroom and bedrooms. These are, arguably, the most intimate rooms in the house and ones that people need to feel comfortable with before they will consider buying. In order for flipping a home to be a good investment, it needs to be worth less than the local market value. This means that it makes sense to buy the worst house in a great neighbourhood, rather than the best house in a bad neighbourhood. The house in the best neighbourhood is far more likely to go up in value. Flipping homes can be a great way to invest and make money if you know what you are doing and understand how real estate markets function and fluctuate. If you are new to the business and would like some key information before getting started, keep the above tips and considerations in mind.